Summer time is Rose’ time for us. We spend many days and hours on the lake in our boat. I generally engage the motor and slowly troll around the lake. We like to look at all of the lake lots and homes. We always talk about what we like and dislike with each home and this gives us many ideas for our lot and future home. The lake lot is still a work in progress. 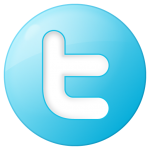 We are working with our contractor trying to get the price of the home to my liking. At worst case we wait. Time is on our side. 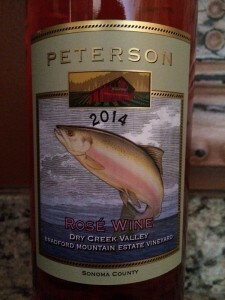 Moderate young-fruity aromas of Raspberry. Dry, light-bodies and very tart. My mouth puckered with every sip. 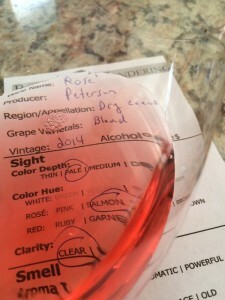 I was really surprised, almost every Rose I have tried was very balanced. The acidity was high. I did have Chris and her friends try the Rose’. They had the same experience. 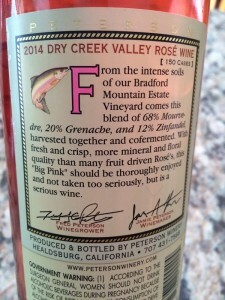 I rated the Peterson 2014 Rosé, “The Big Pink,” Bradford Mountain Estate Vineyard two glasses.